. إن الخدمات الممتازة وحسن الضيافة العالي في Pacific Regis Apartments تجعل إقامتك تجربة لا تنسى. يمكن الاستمتاع بمجموعة من الخدمات على أعلى المستويات في الفندق كمثل Wi-Fi في المناطق العامة, ركن للسيارات, التوصيل من وإلى المطار, مركز رجال الأعمال, غرفة عائلية. بالإضافة لهذا,تتضمن كل غرف الضيوف مجموعة واسعة من وسائل الراحة . بعض الغرف توفر حتى تلفزيون بشاشة مسطحة, مكتب, شرفة/ تراس, تلفون, مروحة لإرضاء أكثر الضيوف تطلباً. يمكنك طلب اللائحة الكاملة للخدمات في الفندق ومن بينها حوض الاستحمام, شاطئ خاص, ساونا, حمام سباحة خارجي, حمام سباحة داخلي. يشكل Pacific Regis Apartments بخدماته الراقية وموقعه الممتاز، قاعدة مثالية للاستمتاع بإقامتك في جولد كوست. Very cluttered and dated rooms. Too much heavy drab furniture. I have stayed at Pacific Regis before and I was just as happy with my 3rd visit as I was the first time I was there. The unit I was in was well appointed and the views just spectacular. Well maintained and clean property. Very dirty and not well kept, broken and faulty misc items around the apartment, over priced, no smoking on entire property, check out is the earliest ever had at 9:30am, very noisy and no blockout curtains, some windows no curtains at all incl the bathroom! Great view, easy access to shops, beautiful beach. The apartments need updating but most of all they need to be cleaned.....thoroughly! Candy wrappers, empty toilet rolls, hair bands and used band aids and clothing label stickers around the apartment everywhere. Cobwebs everywhere and the walls, fabric sofas and carpet are badly stained and marked. Mattresses are filthy all along the base sides. Lots of crockery had food stuck to it, straight from the cupboards. I would price these apartments at the very most $150 per night. Very close to everything including Surf life club. Apartment was great. Rooms were good. Views were good. I do recommend the Premium rooms, it's probably a must, which are the high levels.. Jack and Jo were all ways helpful. I would stay again, with the higher levels, and beach views. Very relaxing, no load noise at night. Comfort. Close to shops. View of bay. Very comfortable. Can recommend to others. Only real problem was that Agoda did not advise management our phone number so they could get in touch with us re location of keys to get in on arrival on a Sunday when office was closed. loved the location and within easy walking distance to restaurants,had great fish and chips and nice pub on corner. 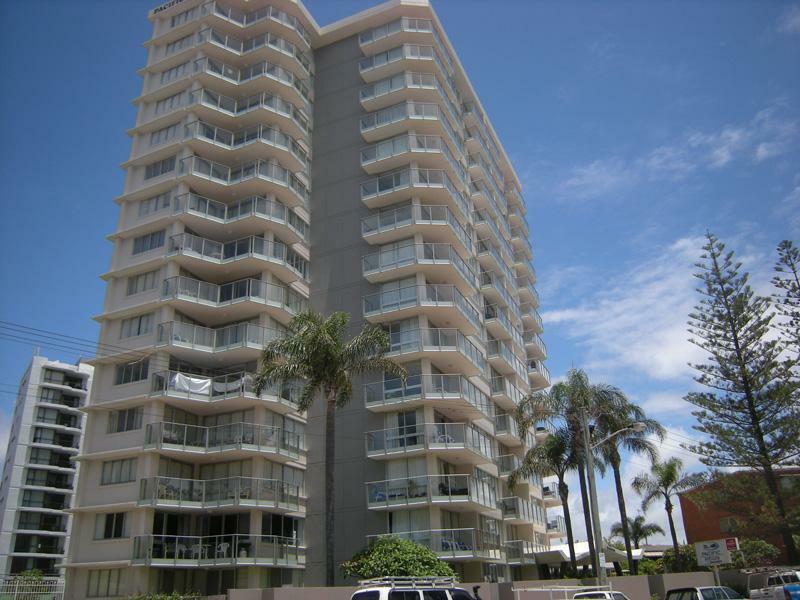 Apartment was great 2 bedrooms and lots of space to entertain our family and beaut seaviews. Had to pay for internet so did not use as it seemed to hard to set up and Manager of apartments was not helpful,just gave us a card with the name of the provider. Will stay here again. We arrived on a public holiday however no problem we just called & was given a code to access our keys and was given a run down by the manager who answered all my questions without a worry. Loved our beach view. location to beach. spacious unit. good price. Very easy to find. the managers were very friendly and informative. Very close to beach and eating places. Did not need a car could walk everywhere. Apartment was very clean and rooms were very large. Kitchen had everything you need. Great heated indoor pool as well as outdoor pool. Would recommend and would stay there again. Really enjoyed staying here with two bedrooms, lots of room and a kitchen. Right across from the beach and within walking distance of the shops it was a great place to stay. At night we could hear an apartment in a neighbouring building having a party but that was the only noise. The car park is a bit tight and if you have visitors stop by then it will be hard for them to find parking during daylight hours.